The Swedish champions IFK Kristianstad may lose their gold coach Ola Lindgren. In the latest episode of the handball podcast Avkast, it is revealed that Lindgren’s new club address may be the big club from Hungary – MVM Vezprém. 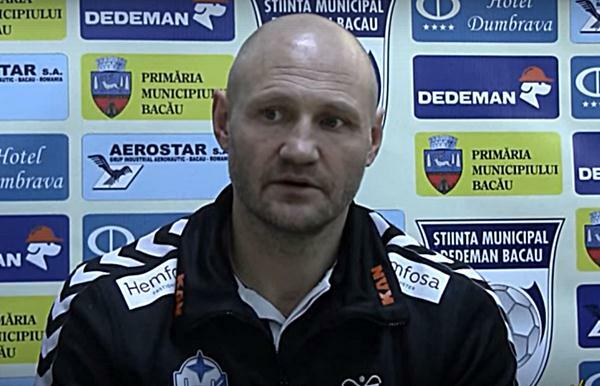 In the begining of the season Veszprém sacked their spanish coach Antonio Carlos Ortega. Since then, the coach has been led by the previous assistance coach Javier Sabaté. 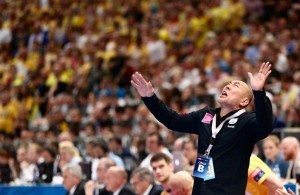 If rumors become true, the next coach for Veszprém will be Ola Lindgren. The director of IFK Kristianstad – Mats Samuelsson, explain to the Swedish newspaper Kvällsposten, that in conjuction with the loan of Iman Jamali from Veszprém to IFK Kristianstad, the Hungarian team asked about Lindgren’s status. Samuelsson replied that Lindgren was not available while he was under contract with the Swedish club. To Kvällsposten, Samuelsson explain the details around the three years-agreement between Ola Lindgren and IFK Kristianstad. – There is an option in his contract which gives him the right to talk to other clubs. And it is possible to end the contract and leave earlier, however not in the middle of the season. We want to be updated so we can find a replacement. – Ola has told us that if a big club contacts him, he want to be able to discuss with them. And it’s OK for us, as long as we get the possibility to plan for the future. The same source linked Swedish left wing Fredrik Petersen with MVM Veszprém. As Handbollskanalen already reported, Petersen will leave Füchse Berlin by the winter break. Earlier, Petersen has been connected with the Swedish club HK Malmö, playing in the highest national league in Sweden. According to the podcast Avkast, this club may be a temporary solution for the 32 year old left wing player before joining Veszprem next season. Veszprém have a great number of star players in Andreas Nilsson, László Nagy, Aron Palmarsson, Momir Ilić, Chema Rodríguez, Christian Zeitz and the great goalkeeper duo Mirko Alilović and Roland Mikler. On left wing are Cristian Ugalde Garcia and Iváncsik Gergő. Next Story → QATAR: El Jaish beat Lekhwiya in derby! HISTORY! Kielce are at the TOP of Europe! 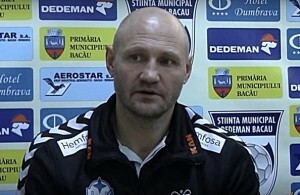 Momir Ilic: We are the team!